This is a complete guide with many activites where studens can practice there is /there are and prepositions. 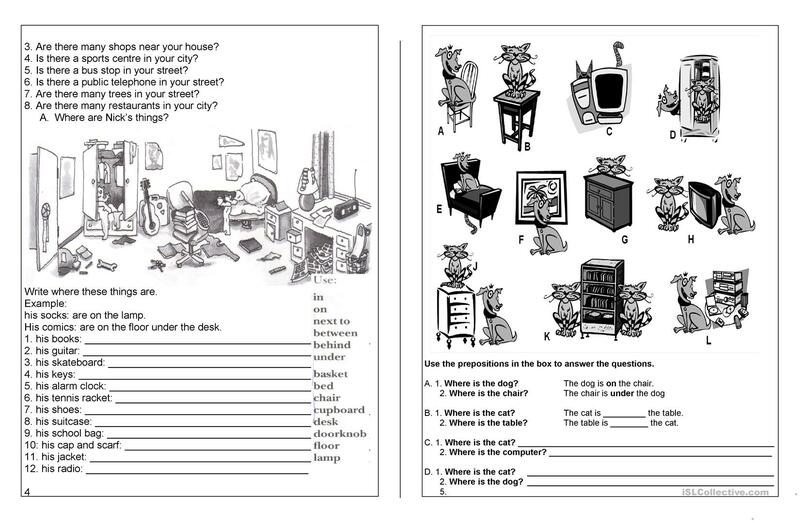 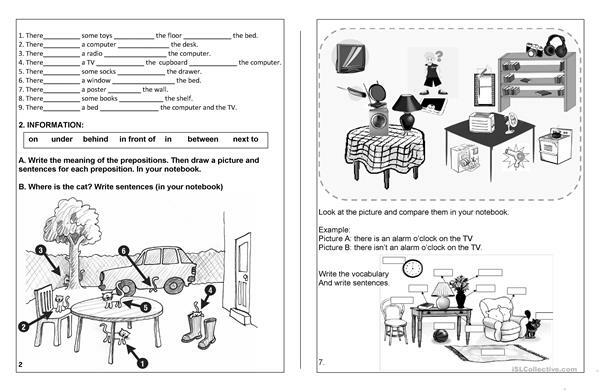 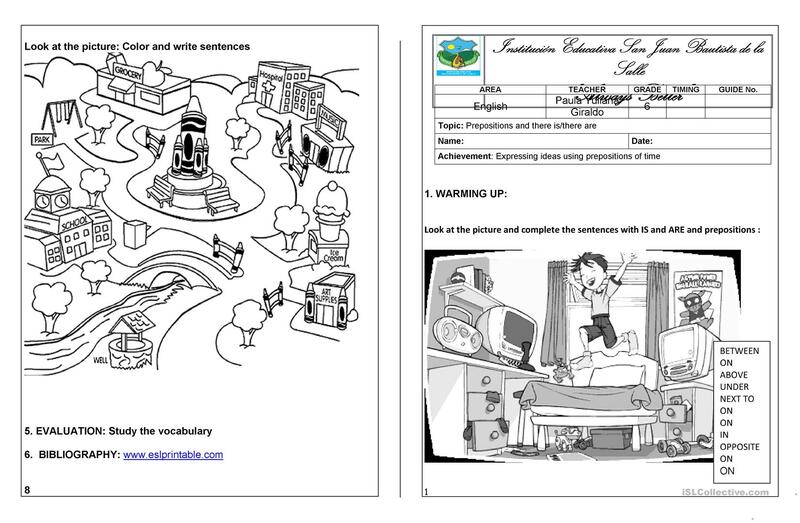 The present downloadable handout is intended for elementary school students at Elementary (A1) level. 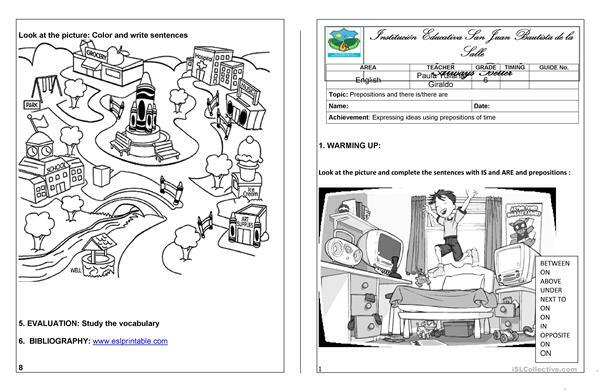 It is great for consolidating Prepositions in English, and is useful for strengthening your students' Writing skills. 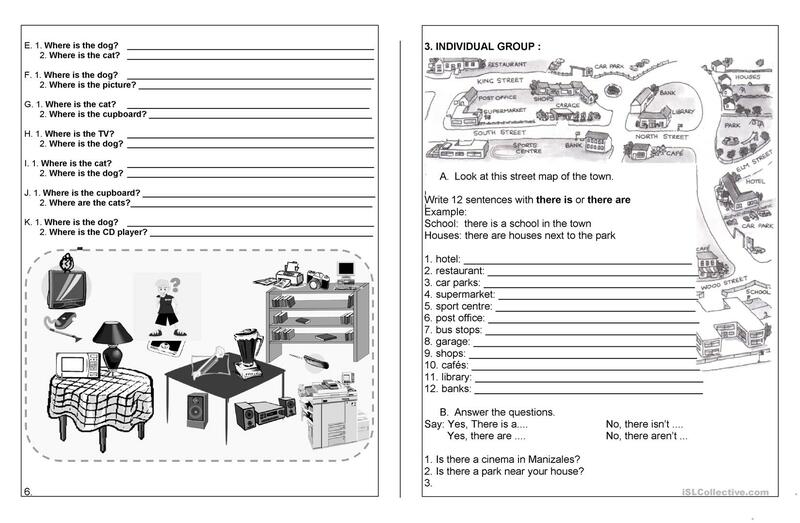 paulayuliana is from/lives in Colombia and has been a member of iSLCollective since 2011-08-13 02:33:31. paulayuliana last logged in on 2019-04-16 17:53:47, and has shared 5 resources on iSLCollective so far.